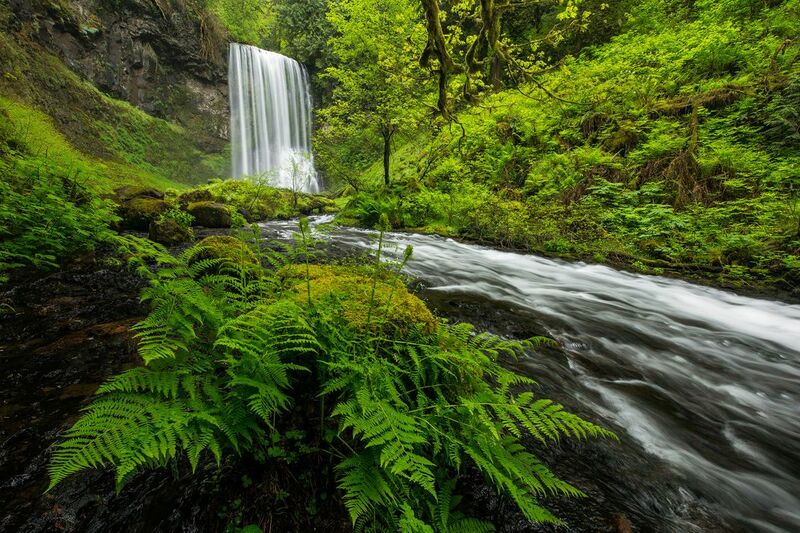 Upper Bridalveil Falls is a hidden gem in Portland's Columbia River Gorge. It requires traversing a steep (downhill) unofficial trail to get here but when you do, you're treated with views of a beautiful waterfall. A fern was starting to bloom and I used it as my foreground while the waterfall raged behind.